FILE - Elizabeth Holmes, founder and CEO of Theranos, speaks at the Fortune Global Forum in San Francisco, Nov. 2, 2015. Blood testing startup Theranos has laid off most of its remaining workforce, leaving only two dozen or fewer employees, The Wall Street Journal reported. Company founder and CEO Elizabeth Holmes announced the layoffs at an all-employee meeting at Theranos' offices in Palo Alto, California, on Tuesday. 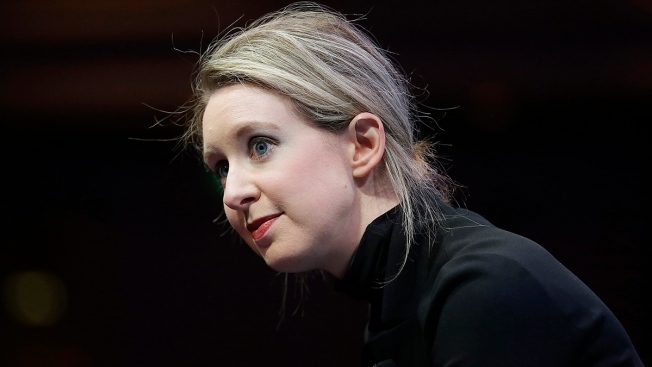 Holmes was charged with massive fraud in March for claiming that Theranos had developed a commercially viable portable blood analyzer. The company raised $700 million in investment capital before it came to light that Theranos' technology could perform only a fraction of the tests advertised. The layoffs were part of a last-ditch effort to avert or at least delay bankruptcy, sources told the Journal.